Why travel to Florida or a similar sunny climate for a winter race when your event might get cancelled by a little snow, the race organizers for Wytheville’s Sandman Extreme Half Marathon ask — why not just go ahead and bundle up for the real thing, with temperatures in the 30s or even the 20s and a course that features a climb of roughly 1,000 feet in elevation? That’s what the race has in store for the runners who show up for this half marathon, which takes runners from the downtown area of this town set in southwestern Virginia’s Blue Ridge Highlands, just south of Jefferson National Forest and the 5,600-acre Beartown Wilderness area, which lies just to the north of town. Sponsored by the Wythe County Public Schools Foundation for Excellence, the race takes runners on an out-and-back course that starts and finishes at the corner of Spring Street and 4th Street in Wytheville and takes them into the nearby Big Survey Wilderness Area, and reaches its highest point with an ascent up Sand Mountain, whose peak lies at about 3,684 feet above sea level, just a few miles south of town. Organizers describe the race route as “challenging,” so runners will need to be ready for both cold winter weather and some steep climbs in elevation. From the starting line, the course winds its way into the wilderness area along Clay Street, Church Street and Whipporwill Road before heading onto State Route 640, a roughly 4 1/2-mile climb that brings runners near the top of Sand Mountain, to an elevation of about 3,100 feet. Once there, runners hit the turnaround and then begin a long, gradual descent for nearly the next five miles, as they wind their way along State Route 720, Atkins Mill Road and 4th Street before heading back into town for the race finish. Runners can expect a combination of both paved and gravel roads — paved roads in and closer to town, and gravel roads for the ascent up Sand Mountain. Runners interested in taking part in the race are encouraged to sign up early, as the event is limited to 100 entrants. There’s also a shorter, 9-mile version of the run for those interested in a still-challenging but gentler race, and the event begins at 9:00 AM. 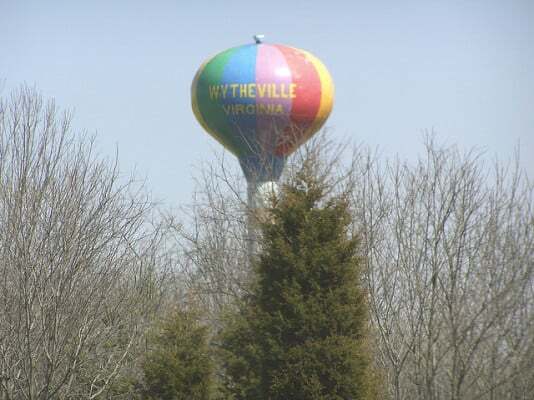 Nestled among the highlands of the Blue Ridge Mountains here in the southwestern corner of Virginia, roughly 80 miles southwest of Roanoke, Wytheville typically experiences its coldest weather of the year on average in January, when average monthly temperatures range between 20°F and 41°F. See the race route map for the Sandman Extreme Half Marathon here. To reserve your spot in the winter 2019 running of Wytheville’s Sandman Extreme Half Marathon race, register online at Active.com here. Ever run in the Sandman Extreme Half Marathon? Share your impressions here, or post your review in the Comments box below. I am writing to you on behalf of the Marathon Maniacs and Half Fanatics running clubs. I am in charge in finding race discounts for our clubs in the SE United States. We are hoping that you would consider offering a perk to the Marathon Maniac and Half Fanatic membership, such as an entry fee discount. Any perks/discounts would be advertised in our monthly newsletter and on our web site in the member-only section. This would provide advertising for your race and an increase in Maniac and Fanatic participation. We are interested in a discount to any of your half marathons. Can I see a 5K course map? Thanks!